Iran on Thursday promised to formally respond on Aug. 22 to a Western package of incentives aimed at resolving the standoff over its suspect nuclear program. The Supreme National Security Council, Iran's top security decision-making body, also threatened that the country will reconsider its nuclear policies if sanctions are imposed. The council didn't elaborate, but Iranian officials repeatedly have suggested that Tehran may withdraw from the Nuclear Nonproliferation Treaty and stop cooperation with the U.N. inspectors. "The package of incentives requires a logical time to study it ... August 22 has been set for declaring (our) views," the council said in a statement read on state-run television. "In case the path of confrontation is chosen instead of the path of dialogue ... and Iran's definite rights are threatened, then there will be no option for Iran but to reconsider its nuclear policies," it added. The statement came a day after Russia said the U.N. Security Council is in no rush to pressure Iran over its nuclear program, striking a more conciliatory tone than the United States as diplomats began discussing a resolution to put legal muscle behind demands that Tehran suspend uranium enrichment. 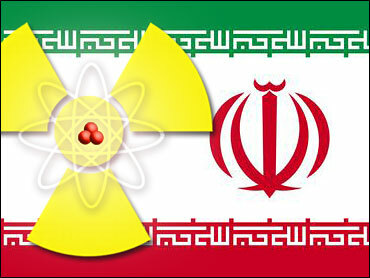 The United States and some of its allies accuse Iran of seeking to produce highly enriched uranium and plutonium for nuclear weapons. Tehran says its nuclear program is peaceful and aimed at generating electricity. The Western nations offered Iran a package of incentives on June 6 — including advanced technology and possibly even nuclear research reactors — if Tehran suspended enrichment. But the frustrated powers agreed last week to send Tehran back to the U.N. Security Council for possible punishment, saying it had given no sign it would bargain in earnest over its nuclear ambitions. Iran has said the incentives package was an "acceptable basis" for negotiations. The council said special committees in key state agencies were still studying the offer by the United States, Britain, China, France, Russia and Germany, and invited the U.S. and its allies to return to the negotiating table. It said it was "surprising" that the U.S. was creating obstacles in the way of a negotiated settlement while Iran was seriously studying the offer. "Iran is not after tension, but if others push things toward tension and create problems, then all will face problems. Iran believes dialogue is the most logical solution. It is serious in this path. We want the other side to return to the negotiating table," the statement said. A senior Iranian lawmaker said Tuesday that the country's parliament was preparing to debate withdrawal from the nonproliferation treaty if the U.N. Security Council adopts a resolution that would force Tehran to suspend uranium enrichment. Withdrawal from the treaty could end all international oversight of Iran's nuclear program. In February, Iran for the first time produced its first batch of low-enriched uranium, using a cascade of 164 centrifuges. The process of uranium enrichment can be used to generate electricity or in building a bomb, depending on the level of enrichment. Iran has said it will never give up its right under the treaty to enrich uranium and produce nuclear fuel but has indicated it may temporarily suspend large-scale activities to ease tensions. Russian Ambassador Vitaly Churkin said the council wants an answer sometime soon to the incentives package, but he stressed the council is not trying to push Tehran.